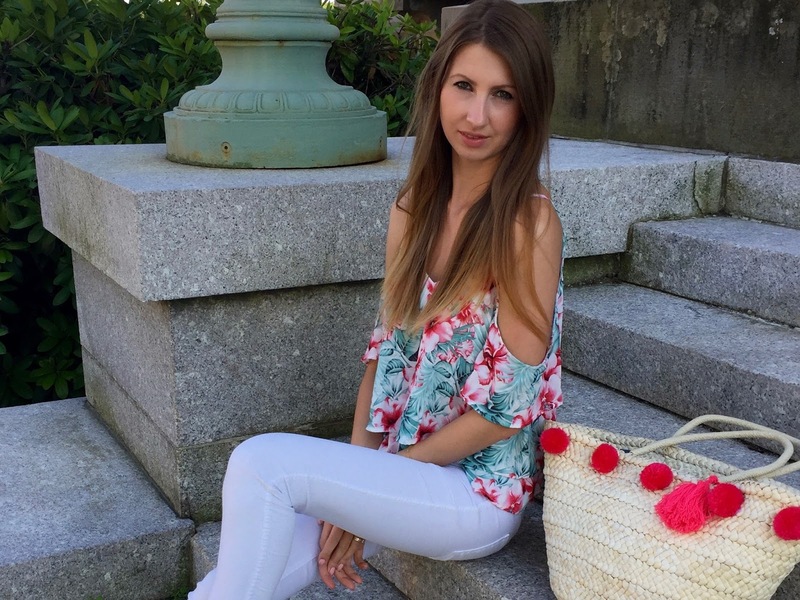 In today's post I will show you my most favorite summer print top of all time. 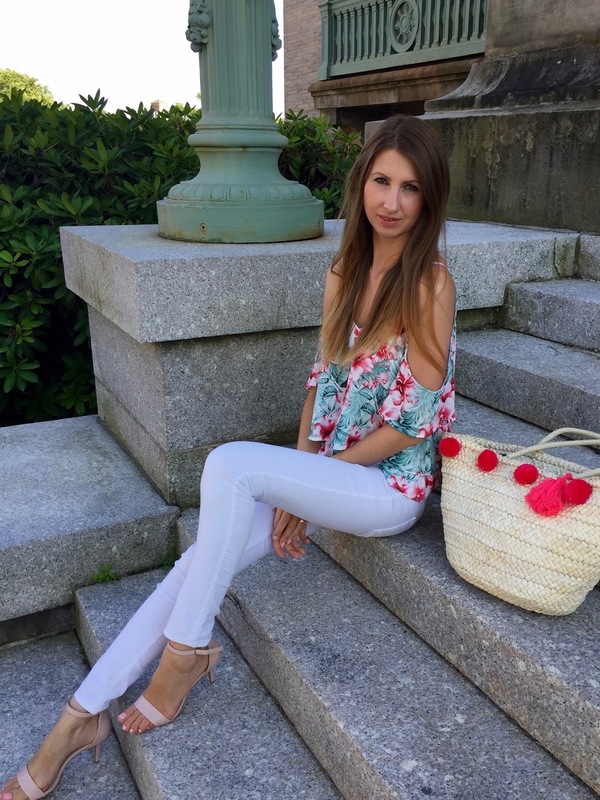 It has ruffles, cold shoulder and layers, which moves with your every step. 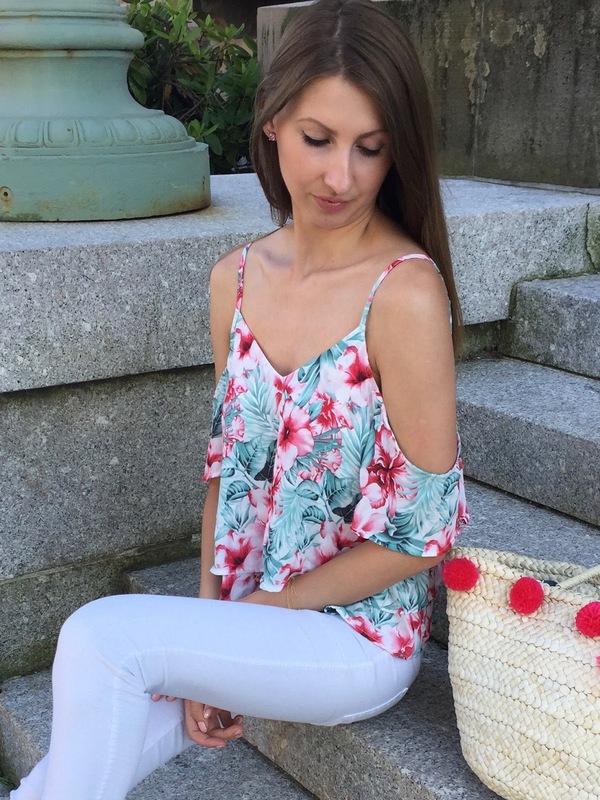 I'm not a big fan of colorful prints but when I saw this top (link at the end of the post), I knew I must have it! I found this top in a local store that owned by my friend and her two sisters. I fell in love with they merchandise, which they pick from all over the world. They have clothing, jewelry, purses, cosmetics and you can find gift for the pickiest person in your life. So if you are local, you must visit them and if not, you can shop them online www.Greytreellc.com. Trust me you gonna love it!